With PlayerUnknown’s Battlegrounds experiencing a meteoric rise in popularity, people are naturally asking about its future as an esport. Despite having a tournament at this year’s Gamescom, and bringing in huge audiences on Twitch, creative director Brendan Greene is in no rush to turn PlayerUnknown’s Battlegrounds into an esport. Find out more about survival skills with our PlayerUnknown’s Battlegrounds starter guide. Speaking to GameIndustry.biz at Devcom, Greene states developers Bluehole are just taking “baby steps” into the world of esports at this point in time. “You can’t just go, ‘we’re an esport. It’s ready!’ The game has to be competitive, it has to be bug free, and it has to work,” Greene says, not wanting to fall into the trap that so many other games fall into. 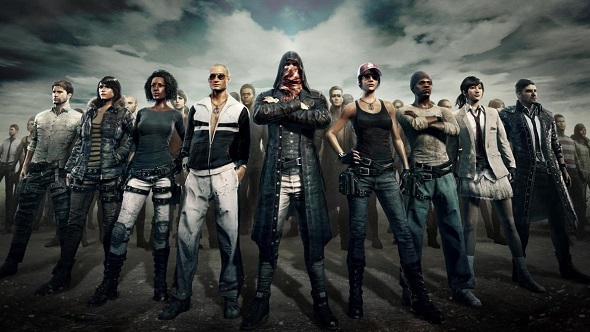 With PlayerUnknown’s Battlegrounds still being in Early Access, Greene wants to ensure that the game works at a base level before players start trying to make a career out of playing it competitively. There is also the problem that the battle royale genre is still finding its feet. While people know how to run a fighting game, FPS, or MOBA tournament, no-one has found a great way to structure a tournament where you have 100 players in a single match. Not only are logistics a factor, it’s finding how to make a tournament of this size interesting to watch over a period of several hours. “We have to find ways to do this realistically,” Greene says, and that’s why Bluehole are working with groups like the ESL are holding smaller tournaments during the game’s development to determine if PUBG can be a viable esport. The audience is certainly there: PlayerUnknown’s Battlegrounds is the number one game on Steam and it’s managing to produce over 16 million hours of content a week. The real challenge is building a game and an ecosystem that can sustain this huge audience for years to come. If you want more of an insight into how Bluehole is approaching the world of esports, make sure to check out the whole interview over on GamesIndustry.biz.